LAKELAND, FLORIDA – A-League, the newly formed arena football league announced today at a press conference at the Hertz Arena that arena football is back in the area. Set to play in the spring of 2019 the new team is called the Gulf Coast Fire. Drawing on their many years of experience of operating arena football teams and leagues, A-League executives are confident that the area and the Hertz Arena are a good fit for their new league. A-League Commissioner Gary Tufford, a seasoned veteran of many years in football at all levels was on hand to enlighten the media of their plan and makeup of the league. “We have specifically designed this league to fit this and our other markets. 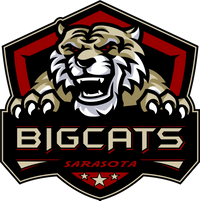 We believe that southwest Florida is the perfect area to operate because of its diverse fan base, economic strength and long and successful history of hosting arena football in this arena”. The A-League will field four teams in year one with expansion planned for two to four more teams in the following year. The league is solely owned and operated by A-League Sports as a single entity operation. 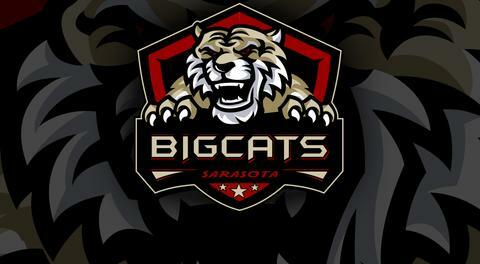 The other three teams in the league are the Lakeland Tarpons, Sarasota BigCats and Bradenton Neptunes. The Gulf Coast Fire will play an eight game season in a four home and away schedule. One of the unique features of the league is its double header format in which each team market will host at least one double header game day. “This is something that we have long wanted to do. It gives the fans added value for their ticket and allows them to see all four teams play in one evening for a single ticket price” added Tufford. The A-League will feature several unique innovations featuring new rules designed to speed up game play and enhance the fan experience. Teams will only carry 16-man rosters, which must include at least two players who play both offensive and defense. Dubbed “The Deuce”, these two way players must play all 60 minutes on both sides of the ball. Tufford added “This is reminiscent of the early days of arena ball where we had ironman players. As a coach you will have to find the best athletes you can to fill those spots and as a fan you get to see some great players leaving it all on the field”. The Fire announced their first Head Coach as well, naming former Firecat standout and Moore Haven local middle/high school assistant head coach Brent Burnside. Burnside has been a long time assistant coach with the Tarpon team and this will be his first arena football head coaching position. The league is currently seeking local and regional players with a high level of experience that want to extend their football playing days. The first Fire tryout will be held October 6 at Oasis Charter High School, 3519 Oasis Blvd., Cape Coral, FL 33914, registration/check-in begins at 9am. All teams will be represented at the workout.